We’re following the path of the Oregon Trail. It’s a dismal, rainy day, but we’re comfortable in our climate-controlled car with fresh water and snacks within arm’s reach. 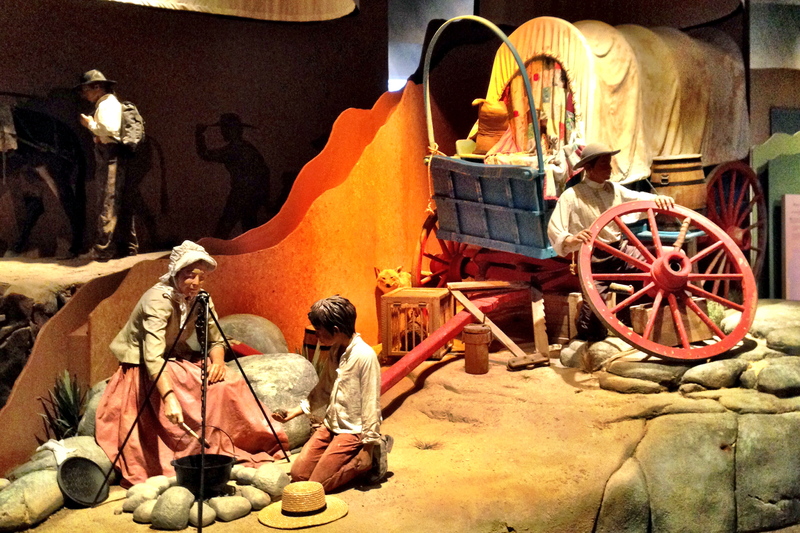 What was it like for the settlers moving west in the 1850s? 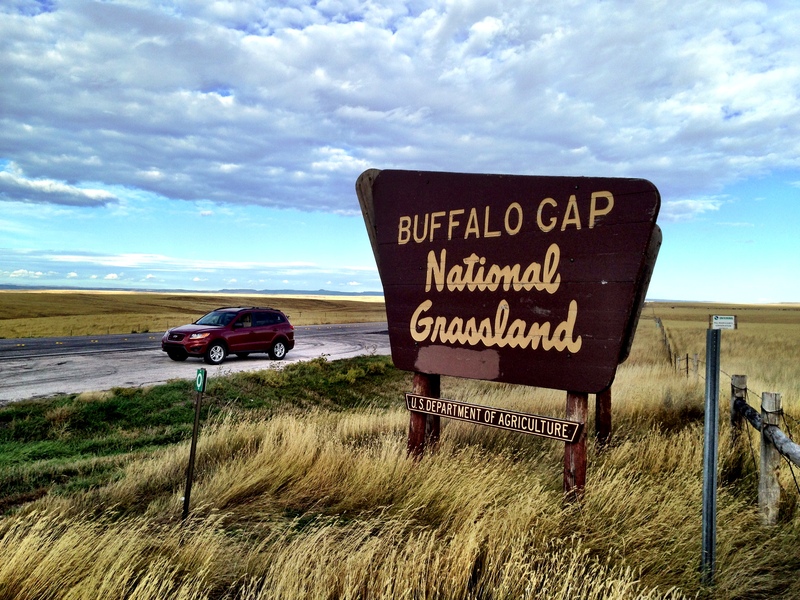 We stopped to find out at the National Historic Trails Interpretive Center in Casper Wyoming, a truly excellent hands-on facility, part of the US National Parks Service (worth a visit on your national park quest, Mark ). Still fairly farmable. Maybe it would be good to settle here? Care to cross this in a covered wagon? Not quite into the Tetons. It gets better…or worse if you’re in a wagon trying to get to Oregon. 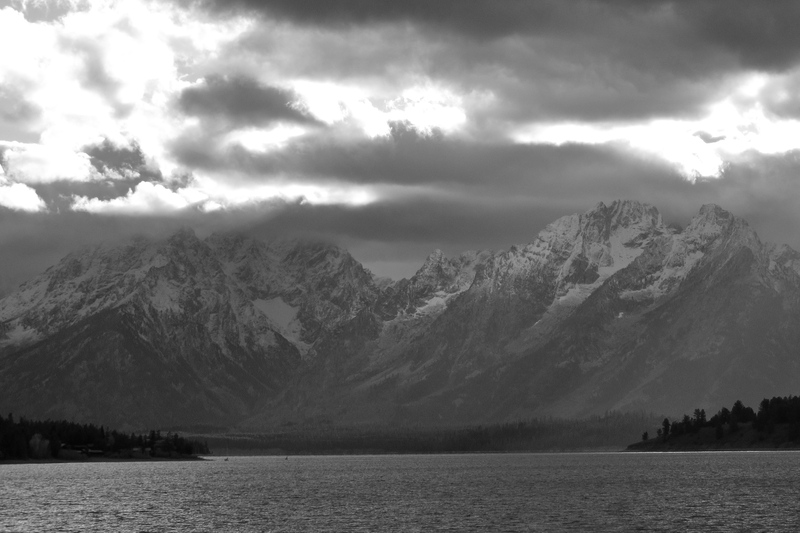 …and now the mighty mountains of the Tetons. At what point did the settlers look at these views and murmur the 1800 equivalent of “Oh, shoot!” wishing they had never had the urge to go west? Here? Imagine trying to cross that. Grand Teton! Or here when it started snowing? Highest point on our trip so far. 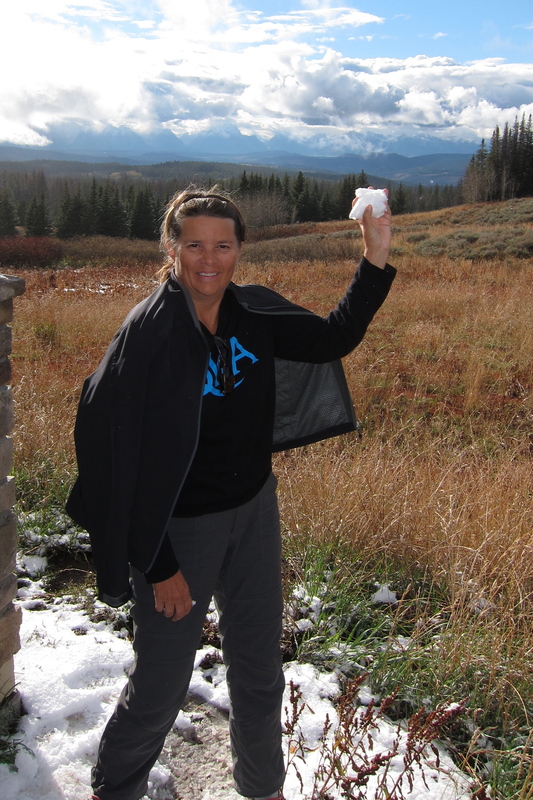 Snow on October 1! Michael gave our views the name of “cornercopia,” since we found a feast of amazing views around every corner. Some were even black and white, just like those from Ansel Adams. 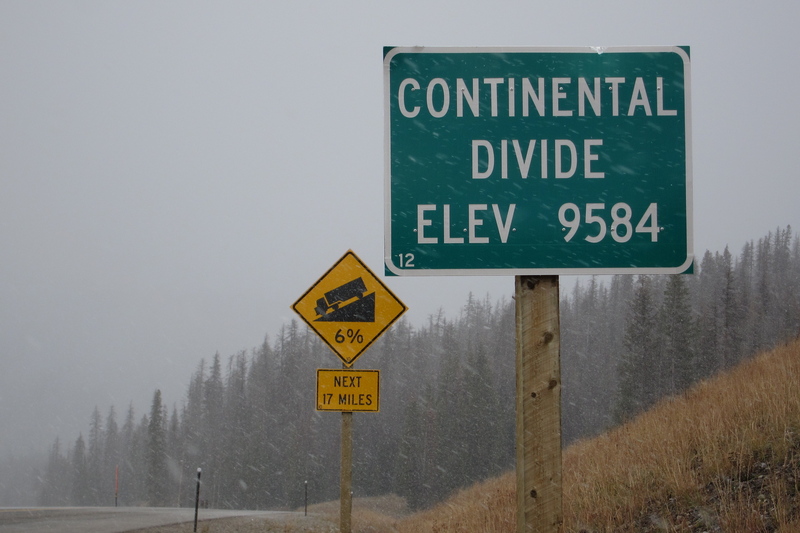 He, of course, couldn’t drive here on an 80-mile per hour highway as we did. When he shot the Tetons and other national parks in the 1940s, he had to haul his large-format 4×5 camera and tripod to accommodate slower-speed film (yes, film), while Michael was able to shoot this just pulling his tiny iPhone out of his pocket. 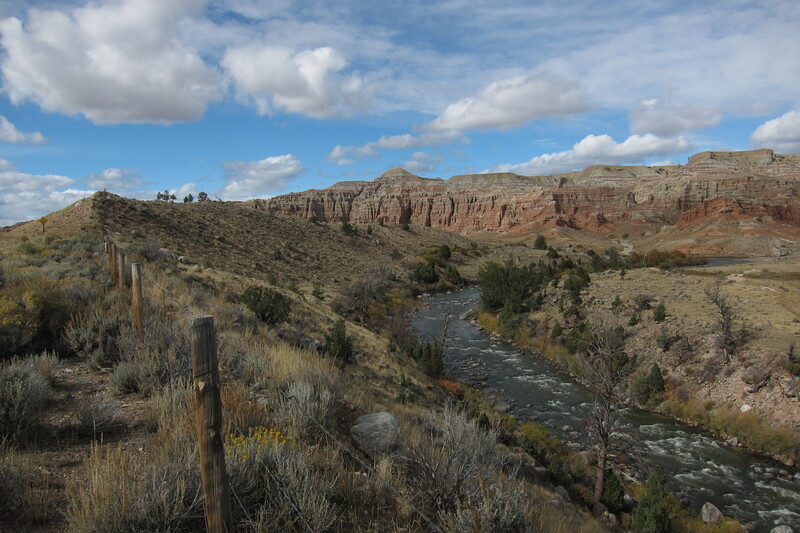 Despite the harsh conditions on the trails, with limited water, cholera and other illnesses, variable weather, and Indians defending their native lands, 94% of the people who headed west survived the trip. 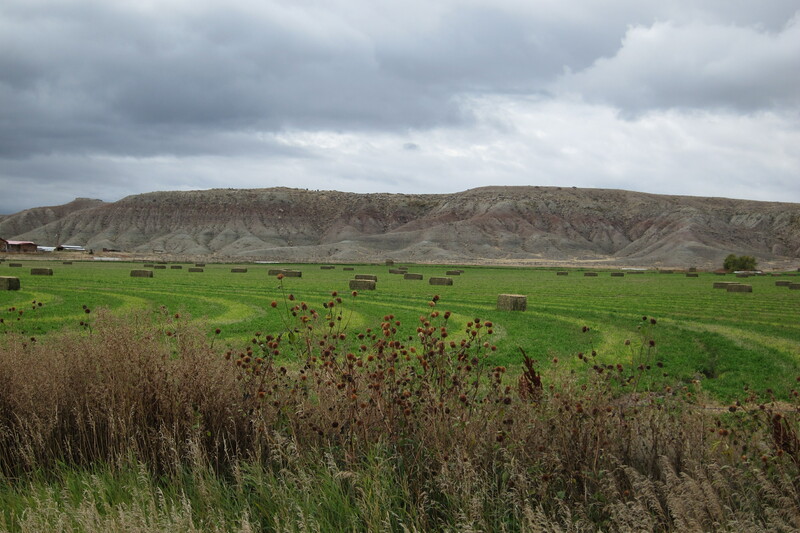 There were men’s chores: driving the wagon train behind the oxen, making the frequently required repairs, and finding the best path westward. And women’s chores: cooking the meals, cleaning, tending the children. Just like our trip! Michael drives and I pick the restaurant. 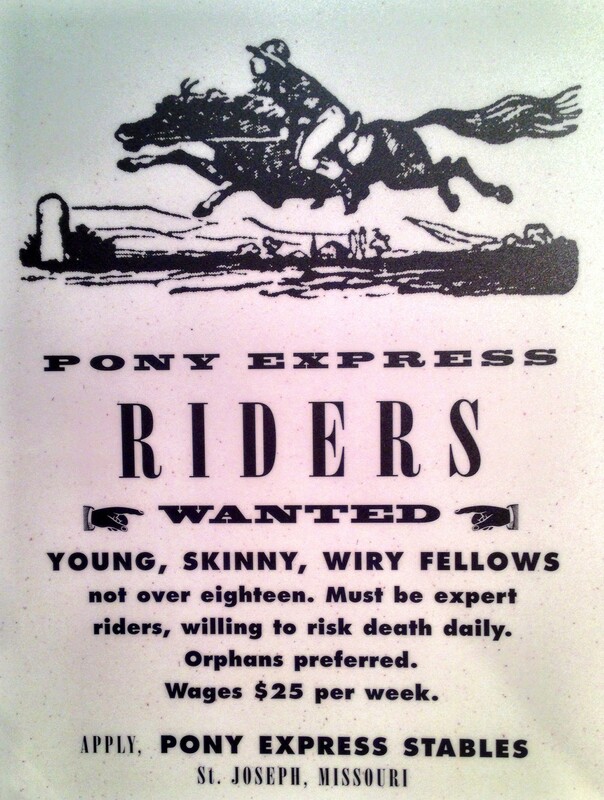 And orphan boys under 18 were encouraged to join the Pony Express. Chris calculated this as $675 a week in today’s currency, but with fairly high risk…of death! 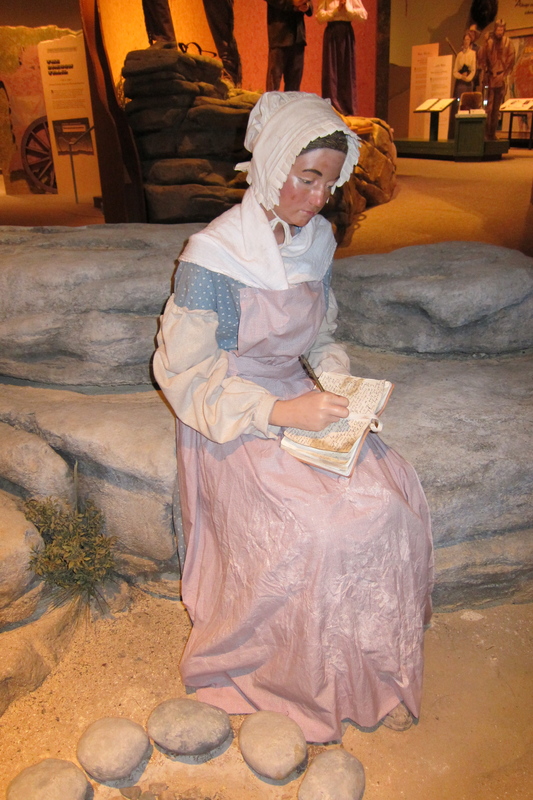 With strong, but slow oxen pulling wagons, rutted or no trails to follow, streams to ford, and repairs to make, many settlers averaged only 12 miles a day. In contrast, we’ve done 1000 miles in three days, complete with overnight hotel and sightseeing stops. 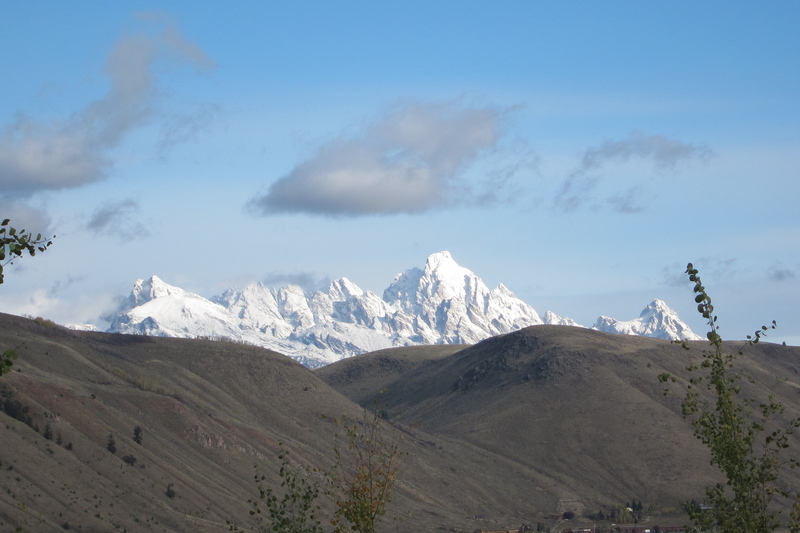 We’re here for a few more days, so it’ll be all Tetons all the time. 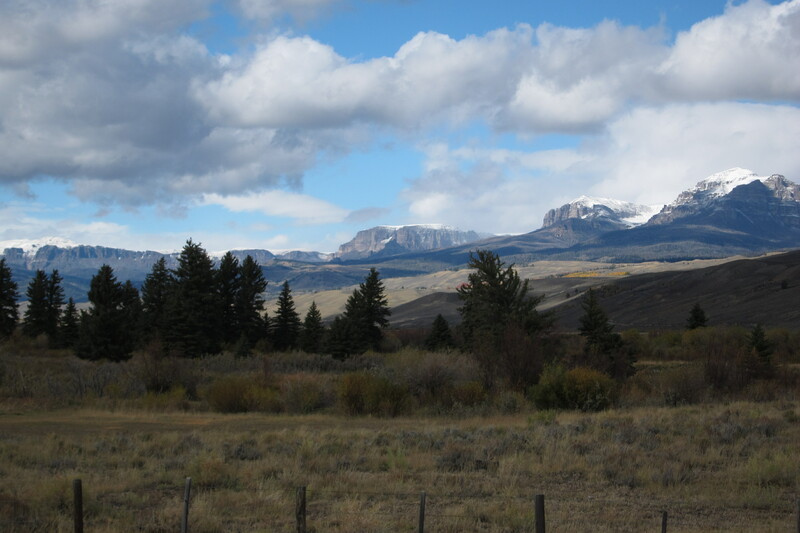 This entry was posted in Travel Journal and tagged Grand Teton, national park, snow, Wyoming. Bookmark the permalink.